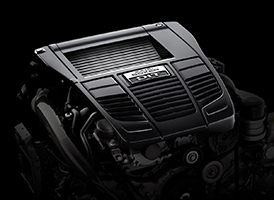 Tokyo, December 14, 2015 – Fuji Heavy Industries Ltd. (FHI), the manufacturer of Subaru automobiles, today announced that the automotive industry trade journal Ward’s has named Subaru’s “FA20” 2.0-liter 4-cylinder Horizontally-Opposed direct injection turbo “DIT” engine of the Subaru WRX a winner of its 2016 Ward’s “10 Best Engines” award for the second consecutive year. 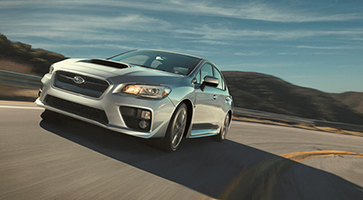 This is the fifth time that Subaru has won a Ward’s prestigious “10 Best Engines” accolade – the first two being the 2004 and 2010 awards for the “EJ25” 2.5-liter 4-cylinder turbocharged Boxer engine, the third being the 2013 award for the “FA20” 2.0-liter 4-cylinder Boxer engine, and the fourth being the 2015 award for the “FA20” 2.0-liter 4-cylinder Boxer direct injection turbo “DIT” engine. As an iconic Subaru’s all-wheel drive (AWD) sports performance model, the “FA20” 2.0-liter 4-cylinder Boxer “DIT” engine produces 268 horsepower at 5,600 rpm, with a broad torque curve that peaks at 258lb.-ft. over a 2,000-5,200 rpm engine speed range while achieving enhanced fuel economy*. The judges composed of WardsAuto editors appreciated both its superb power performance and enhanced fuel economy. The winners were chosen from nominated 31 powertrains. To be eligible for the Ward’s “10 Best Engines” competition, an engine must be all-new or significantly re-engineered and available in the US market with a base price not exceeding $61,000. Editors score every engine based on horsepower, torque, drivability, noise and harshness mitigation, flexibility, observed fuel economy and onboard technology.